Your children look forward to this visit every week. Grandma will be waiting for them just inside with a million hugs and questions about school before she ushers everyone to the dining table to enjoy a home-cooked meal. But this time you notice something different. From the moment you get out of the car in her driveway, the pounding of muffled TV voices accosts your ears. As grandma opens the door, the full volume hits you like a boulder. She reaches out to hug your son. But he steps back with a pout. “Why’s the TV so loud, Grandma?” He points over at the blaring box-set. She startles before leaving all of you standing at the door while she turns it down. You feel her embarrassment as her cheeks redden. But she just laughs it off as the hugs and questions commence. You let it slide for the moment, but long term acting like nothing happened isn’t the answer. Let’s look at how you can support a loved one with hearing loss. The dialogue on my program is just low. I only miss what you say now and again. If I had bad hearing loss, I’d know it. They may be going through the grieving process about losing their hearing. Remember, that starts with denial. Your loved one may feel embarrassed at what many people think of as a sign of aging. By listening first, you learn how best to help. Grandma or Grandpa may be in denial. But it never works to tell someone that. Instead, schedule an appointment to get your own hearing checked. Remind your loved one that nearly 10% of people 55 to 64 have disabling hearing loss. Among adults, 15% have some hearing loss. She’s not alone. Suggest that you’re being proactive by getting your hearing checked, and you’d like your loved one to schedule an appointment so that you two can go together. You don’t want to appear patronizing. But in a loving way show that you understand. Ask if she’d like to sit near the front at your daughter’s play. Try to find the quieter spots in restaurants. Offer to turn the TV off when people are sitting around having a conversation. Research and help her learn technologies that help the hearing impaired. When you’re having hearing problems, it’s easy to stay so focused on the problem you can’t see the solution. Did you know an extensive CDC (Centers for Disease Control) study found that only around 25% of people who need hearing aids actually wear them? They found many reasons for this. People think hearing aids make them seem old when in fact yelling and having to ask people to repeat themselves is much more aging. Wearing hearing aids can take a decade or more off your age. People can’t see modern hearing aids unless they’re looking for them. And if a person doesn’t have trouble hearing, people don’t feel curious enough to look. The great news is that researchers were able to determine that it’s not the hearing loss causing these things. Not getting it treated is to blame. Wearing hearing aids returns the risk levels to that of a normally hearing person. Hearing aids today use machine learning. They need to be worn. You need to practice so that the hearing aid learns how to help you hear at your best. The brain forgets how to hear. Your brain actually shrinks if you wait to get hearing aids. It loses some of its ability to comprehend words. Work with her. Encourage her. 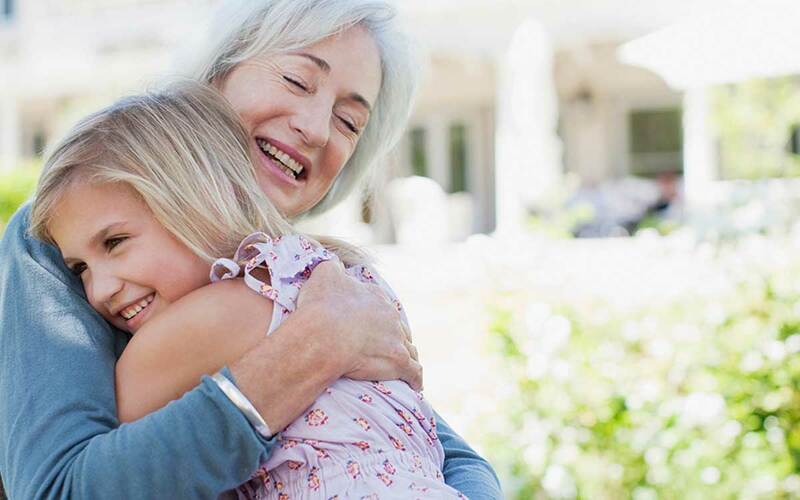 Remind her how great it will be once her hearing aids work the way they are intended.